DIALOGUE CHICAGO is a unique interdisciplinary critique/seminar for working visual artists seeking aggressive studio practice. Recognizing a need for regular dialogue among artists, Sarah Krepp founded the forum in 2002 as a vehicle for professional artists to meet and share their work. The group has evolved into a supportive cross-disciplinary artistic community. Artists from a variety of disciplines- including painting, sculpture, print-making, photography, installation, performance, and time/arts come together monthly to discuss the expansive possibilities of their work. Through group critiques, field trips, lectures, and artist studio visits, artists acquire knowledge, skills and methods of developing their work and transforming their ideas. 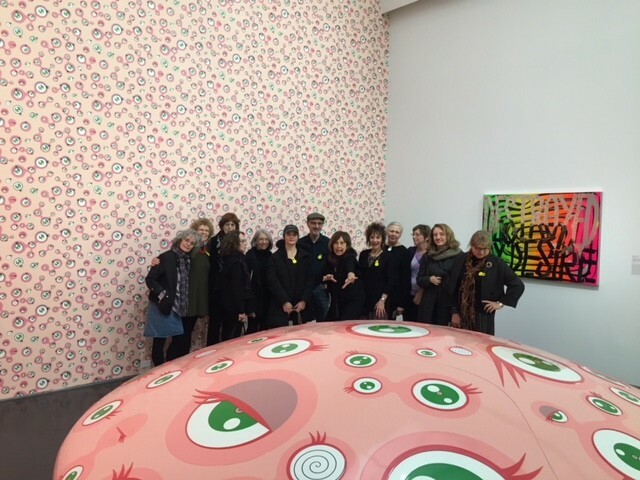 Also through these field trips to museum exhibitions both in the Midwest and New York, museum lectures, the group shares and debates the complex ideas and works of contemporary art. Sarah Krepp Bio: With an MFA from the School of the Art Institute of Chicago, Sarah Krepp has been a noted Chicago artist for more than 25 years. She has shown nationally and internationally, and her work is included in many corporate and private collections. She is a Professor Emeritus of Art and former Chair of the Painting Program in the School of the Art and Design at the University of Illinois at Urbana-Champaign. She has over 20 years of teaching experience at The School of the Art Institute of Chicago, Southern Illinois University, the Burren College of Art (Ballyvaughn, Ireland), as well as the University of Illinois. She has taught freshman through graduate level courses in drawing, painting, sculpture, interdisciplinary and site-specific practice, and interdisciplinary critique. Many of her students have gone on to achieve significant success as practicing artists, and art educators, and curators.